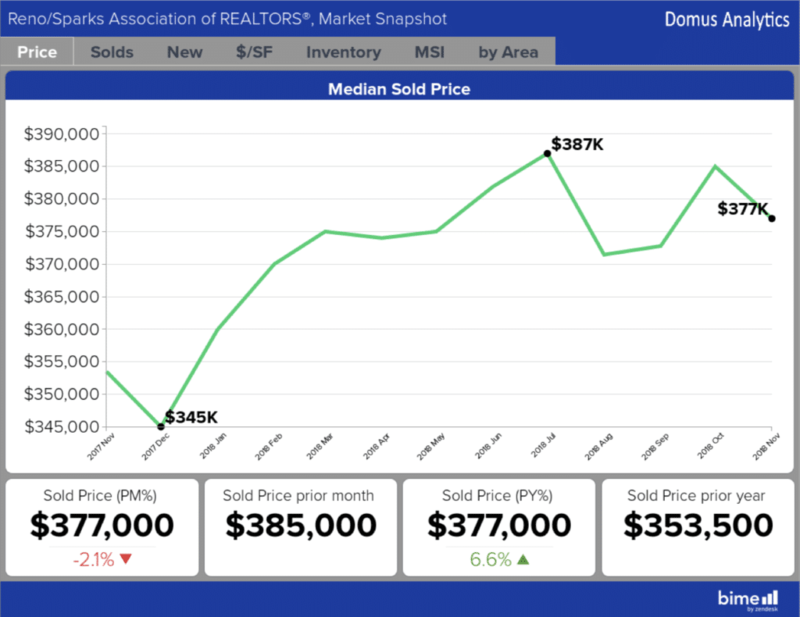 The Reno/Sparks Association of REALTORS® (RSAR) has released its Reno-Sparks Market Report for November 2018. The November median price at $377,000 is down 2% from October and up 7% from a year ago. November unit sales at 444 are down 5% from October and down 17% compared to November 2017. November new listings are down 17% at 469 compared to October and up 20% from one year ago. The Reno market is a seller’s market, at 3 months supply of inventory. Months supply of inventory is the time it would take to exhaust the active inventory at the current rate of sales.